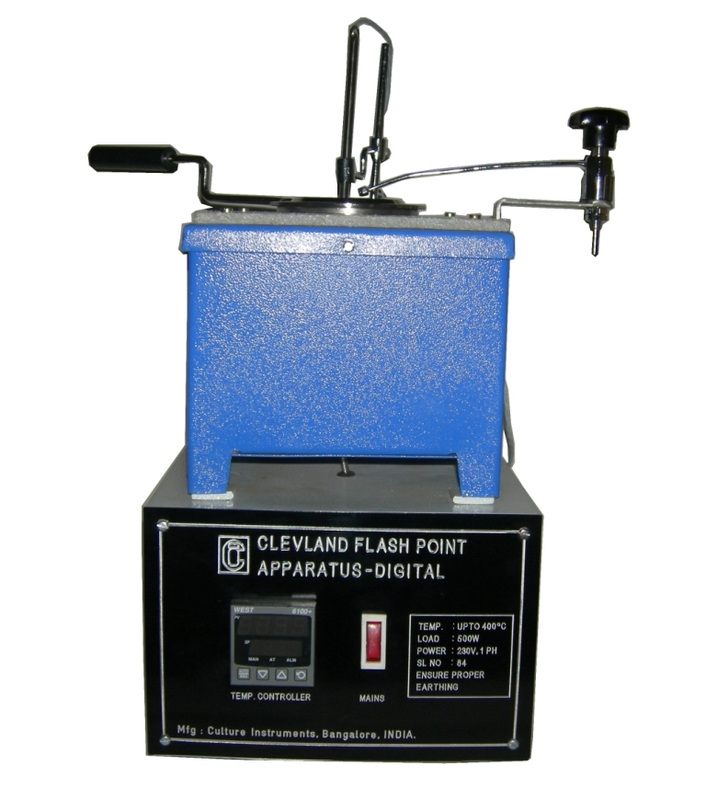 Description: COMPLIANCE:IS:1448, ASTMD92, IP-36, IP-403, BS2000 P-403, Bs4689, DIN51 376, ISO 2592 This apparatus is used for determination of flash points of liquid samples, whose flash points are above 40oC to 35o0 C in open test conditions. Outer body made of mild steel powder coated, Complete with cup made of brass, electrical Heating system, Control System, Flame regulator with reducing socket, thermometer holder. There are four variants.